Please join the Medfield Animal Shelter at beautiful Rocky Woods Reservation on Hartford Street in Medfield, MA on Saturday, September 18th from 11 am- 1 pm for our 3rd annual Rescue Dog / Puppy Mill Awareness Day event. 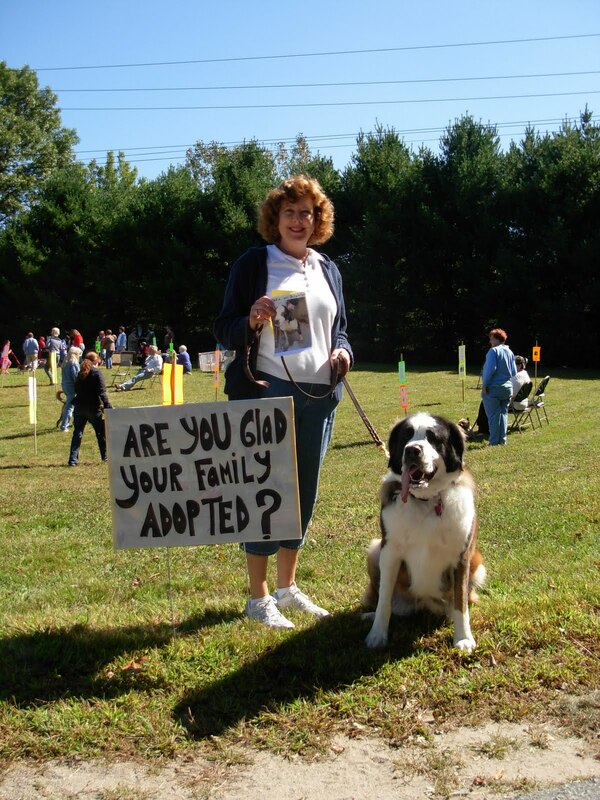 This fun and informative event is part of a national educational campaign to highlight the many nice dogs in need of adoption. Volunteers will be on hand to provide information about how to adopt the right dog for your family, and representatives from local rescue groups will be there with some of the adoptable dogs in their care. There will be lots of activities for the kids, fun raffles, a dog talent contest (all dogs are welcome to participate and prizes will be awarded) and an exciting silent auction including Boston Red Sox memorabilia, a week's stay at a pet-friendly cottage on the Cape, and some nice wines donated by Bullards Market in Medfield. All proceeds from the event will be put used to fund the Shelter's ongoing mission of helping homeless animals. Admission is free. Friendly dogs on leash are welcome to participate in the event with their owners. If you are considering buying a puppy, we hope you will stop by our informative booth about puppy mills. Can you imagine forcing your family dog to live his or her entire life in a tiny wire cage with no protection from the elements, no vet care and no human contact? That is what life is like for a puppy mill breeding dog. Help us stop the cycle of cruelty that contributes to pet overpopulation and the suffering of countless dogs by learning how to avoid buying a puppy bred in a puppy mill.